We’re an award-winning market leader in hearing protection and hearing care support. For almost half a century, our independent family-run business has pushed boundaries in research and product development, to bring the very best hearing products to customers, professionals and industry. In 1976 Jay Choudhry decided to go it alone, giving up his job in global electronics to repair hearing aids from his box room at home. He had a clear vision, to build an independent family-run business that served the hearing care industry, and delivered exceptional customer care. Welcome to the world, Puretone. To this day, ask anyone in Puretone how they see their customers and they’ll reply “one of the family”. Decades later and now under the leadership of Jay’s son Baz, Puretone goes from strength to strength. An award-winning business that is now one of the UK’s premier manufacturers of high quality audiology, hearing protection, tinnitus and communication equipment. The company’s numerous awards include Best Accessory Provider for several years in the AIHHP awards. Despite this growth, Puretone remains resolutely independent, family run, and true to its roots. Proud to support hearing professionals and patients alike and offering the very best professional and personal service, every time. That commitment also extends to helping people hear across the world, through Puretone’s network of global hearing aid distributors, and through its support for a number of charities and good causes. 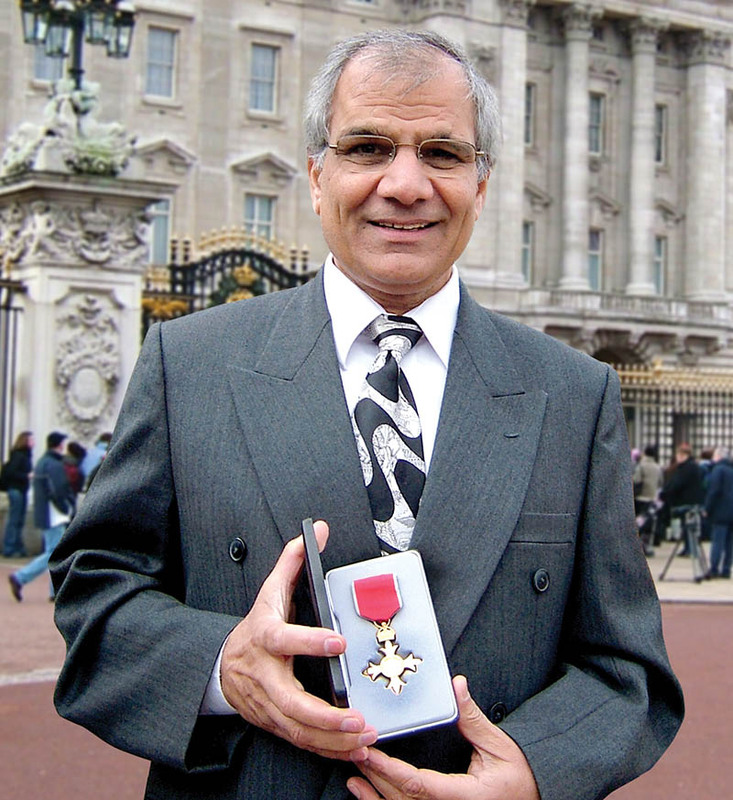 In 2004, our founder, Jay Choudhry was awarded the OBE by Her Majesty Queen Elizabeth II, for services to the hearing industry. 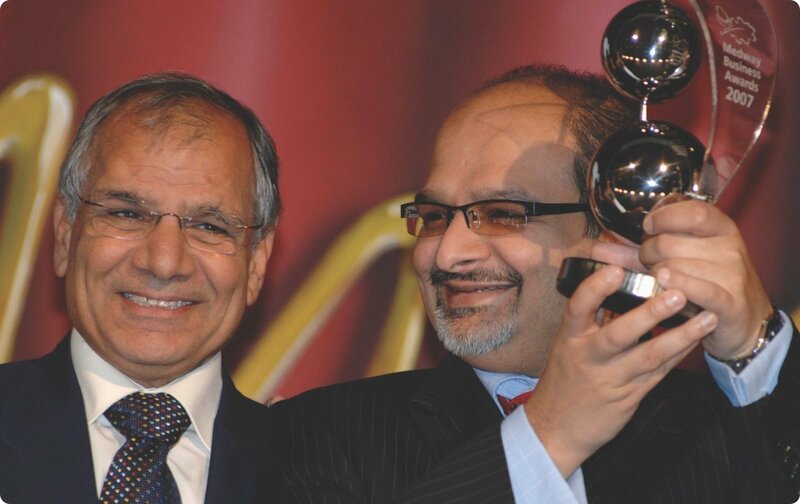 The company has also been privileged to win many awards over the last 40 years, including Kent Exporter of the Year, Kent Business Personality of the Year (Jay Choudhry) and the prestigious Queen’s Award for Export Achievement. Puretone were also highly commended in the Chamber Awards 2004 for their excellent success in export markets, winning Export Business of the Year. In 2007 Puretone was voted Business of the Year at the Medway Business Awards. Puretone have also been awarded ‘Best Accessory Provider’ on multiple occasions for the coveted AIHHP award, as voted by the AIHHP members. Our values articulate the spirit of our business; what makes us tick. They remind us daily that we are defined by our actions and our commitment to our customers.